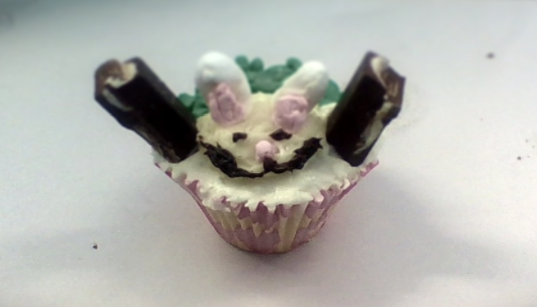 This morning my class decorated a cupcake. It had to have an Easter theme. I made one too, this is what it looks like. I won the prize which was 2 bags of marshmallows and a chocolate.